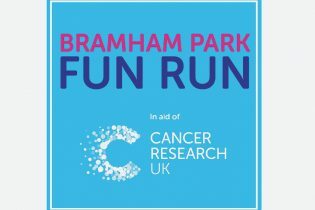 Our 3rd Bramham Fun Run! Congratulations to our Stage One team of runners who completed the Bramham 5km Fun Run on Sunday morning. Having been spoiled by beautiful sunshine in previous years, our resolute team were not put off by the slight drizzle and even our youngest members completed the course in good time. 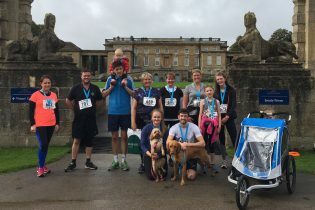 Huge thanks to all our runners, especially the youngest ones, Ellie, Imogen and Rudy (who though pushed, finished with plenty of mud spatters) and of course, the sub-team of four-legged athletes. Huge thanks also go to all who have sponsored us so far, looks like we’re on track to beat last year’s total of £1,200.00! UPDATE: The Stage One Fun Run team raised a total of £1,512.00. Well done everyone and see you again next year!